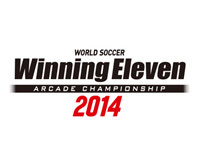 Konami releases Winning Eleven Arcade Championship 2014 today. This 2014 edition of the famous football game features a new game engine which allows more realistic collisions between players, finer body movements and ball touch. It also improves the graphics. The ball control has also been improved thanks to the new concept of center of gravity which allows separate control of the ball and the player's center of gravity. A new "trade transfer" mode between teams is added to the traditional "transfers negotiation" way of transfer. The game now gets the Champions League license that features more than 250 teams. 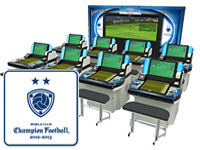 Winning Eleven Arcade Championship 2012 data can be transferred via e-AMUSEMENT PASS. 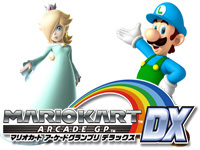 Two new characters are available in Mario Kart Arcade GP DX: Rosalina (Rosetta in Japanese) and Luigi dressed up in ice costume. Rosalina is already unlocked and to get Ice Luigi, the player must scan a card with a special code. The procedure to get this card will soon be available on the game official website. As for Fire Mario already available since a long time, the card will certainly be offered with a magazine. Konami updated its mecha action game two days ago: Steel Chronicle is now in version 3.0. There are three new special hounds: Lydia Petrakova, Karin@zzz... and Marion Love. A new steel suit was also added: Assaut Spec.V. Some adjustments and improvements are made: a new Î£ (sigma) class and a new main weapon, new badges, new SEED ennemies,... Opening movie is available here. A new season begins for World Club Champion Football Intercontinental Clubs! In the 2012-2013 edition, new players from three teams enter the competition: the German Klaas-Jan Huntelaar (FC Schalke 04), the Paraguayan Roque Santa Cruz (Málaga CF) and the Nigerian John Utaka (Montpellier HSC). There are now a total of 24 teams whose data have been updated. A new type of card appeared: "Rising Star". All old cards are always compatible. Beside traditional Tournament and Online modes, the new League mode teaches how to play the game by completing in "missions". 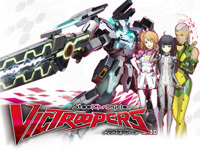 Bonuses and titles are unlocked by succeeding various missions. 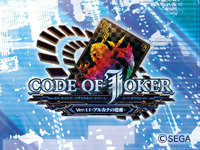 Code of Joker Ver.1.1 - Awakening of Arcana is the first big update of Sega's card game released in July. 40 new cards are added. Other changes in this version includes a more powerful Joker effect, a new "S" rank, balance adjustments and new attack techniques. Competition events will be held on a regular basis. 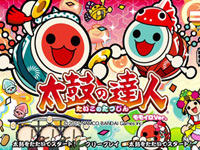 Taiko no Tatsujin Momoiro Ver. Taiko no Tatsujin Momoiro Ver. is the new update of Taiko no Tatsujin Shin Kyotai that will be out tomorrow. 20 new songs will be added in the following categories: J-Pop, (Momoiro Taiko Dodon-ga Bushi - Momoiro Clover Z, Flower Song - Exile, Invader Invader - Kyary Pamyu Pamyu), Anime (Aikatsu!, Ultraman Ginga, Tamagotchi: Yume Kira Dream, Tamagotchi! Miracle Friends, Uta no Prince-sama Maji Love 2000%), Vocaloid (Yi-er Fanclub, Noshou Sakuretsu Girl), Game Music (Pokemon XY, Yuujou Souchaku! Butto Burst, IdolM@ster 2, God Eater 2, Klonoa: Door to Phantomile, Tank! Tank! Tank!) and Namco Original (Tokyo Tokkyo Kyo Kyokakyoku Kyokucho! !, Uso-uso Doki).. Collaboration campaigns will regularly be held. The first will be in collaboration with the idol band Momoiro Clover Z and will last few months. Fan of the Big Buck hunting game series? We have good news for you: the store is open! It contains all the paraphernalia a fan needs: T-shirts for boys (Big Buck HD, D'oe!, ...) and girls (Big Buck Girls, Not my Jugs! ), caps, beanie hats, bandanas, bags, stickers and of course bottle openers and different types of glasses for beer and alcohol. At the moment, the ordering system is not automated yet and the buyer must send an e-mail with his address and what he wants so the shipping cost is calculated manually. Payment methods are Paypal or credit card over the phone (in old fashioned Pappy way). Nevertheless, the idea is really good especially since prices are low. 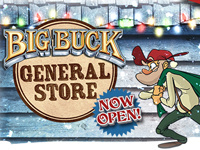 Visit the Big Buck General Store. 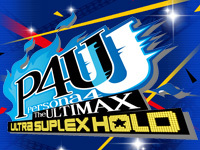 Persona 4: The Ultimax Ultra Suplex Hold is available via the NESiCAxLive (Taito Type X²) today. 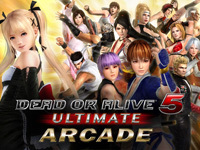 Arc System Works and Atlus teamed up to release the game. The story continues after the events of Persona 4 The Ultimate, a new tournament is announced on Mayonaka TV: the P-1 Climax. A strange red fog covers Inaba and an image of someone that looks like Mitsuru being crucified is shown on TV. The S.E.E.S. and the Special Investigation Squad team up to figure out whatâ€™s going on. Three new characters are added. Two comes from Persona 3: Yukari Takeba (which uses quick bow attacks) and Junpei Iori (which uses powerful attacks with a stick) and the last fighter is a brand new one: Sho Minazuki. His role in the story is unknown and it is unclear if he's an ally or an enemy. All characters have now two configuration types: Normal and Shadow. Skills are different depending on the selected type and appearance of the character in Shadow mode is scary... The gameplay is more sophisticated and versatile than in the 1st episode. The old characters have new skills and their old ones have been revised. They have also a greater range in their movements. 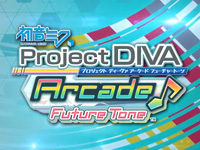 Hatsune Miku Project DIVA Arcade Future Tone is out today! It's the first game to run on Sega's new arcade board: the Nu (technical specifications). Regarding graphics, the new "Type2.0 AC" character module allows visual improvements: the movements are more precise and smoother, facial expressions are much more detailed and the hair animation is more dynamic. But the main innovation is the new "touch slider" control (placed just above the buttons) as in the home console title Hatsune Miku-Project DIVA-f. When the slider icon appears on the screen, the player must drag his finger on it in the indicated direction. Module selection screens are renewed and 3 customization sets of Hatsune Miku-Project DIVA-f are added. Characters customization is improved since you can now add various independent accessories such as glasses or cat ears. Beside new modules (costumes), the new content includes 5 new songs: Doriko - ã‚­ãƒ£ãƒƒãƒˆãƒ•ãƒ¼ãƒ‰, Wowaka - ã‚¢ãƒ³ãƒãƒƒãƒ”ãƒ¼ãƒªãƒ•ãƒ¬ã‚¤ãƒ³, Mitchie M - Freely Tomorrow, Halyosy - Fire@Flower and å…«çŽ‹å­P - Weekender Girl. Watch the video to discover the new features.